Whew! What an eventful first Garden 2 Table event we’ve had! 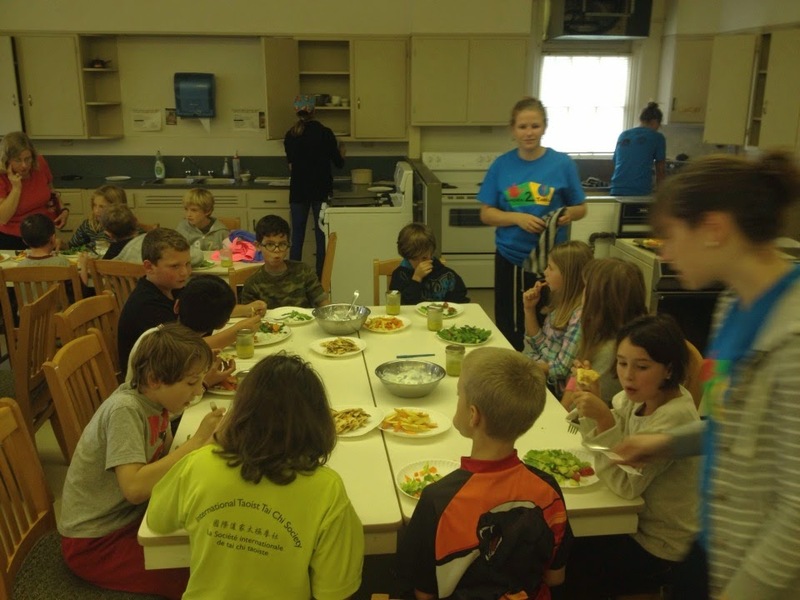 We were grateful to have the Jean Little Public School’s grade 4/5 class of 25 students come out to the Macdonald Institute cooking lab and Guelph Centre for Urban Organic Farm. 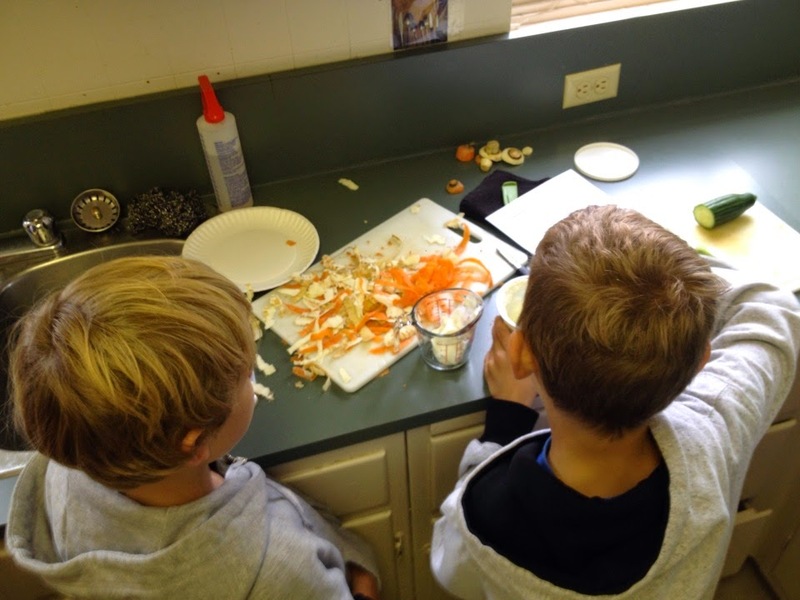 Our day started out bright and early in the cooking lab with safe knife handling skills demo and some hand washing tips. 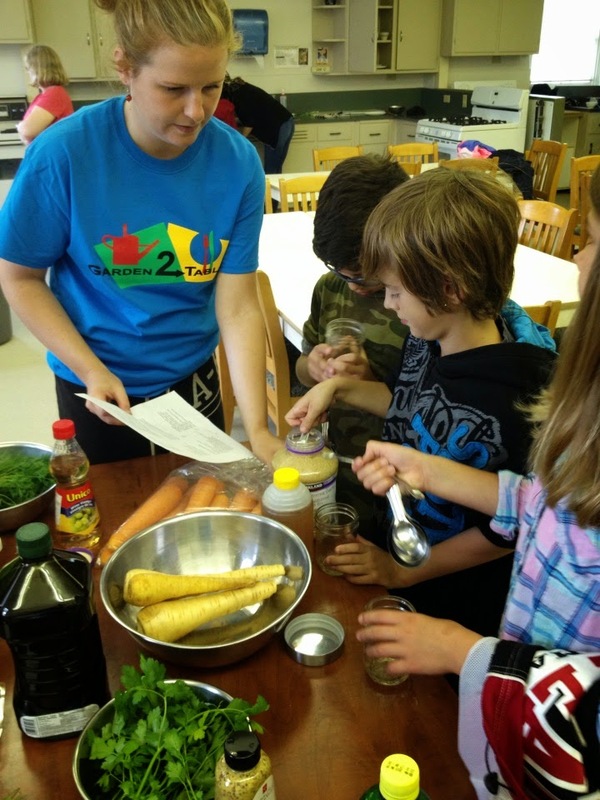 The kids were broken off into groups of 3 and paired with one of our lovely Garden 2 Table volunteers to get our hands on some garden fresh foods. This week we made “Honey Roasted Roots,” “Homemade Tzatziki Dip,” and “Fresh Herb Dressing.” The dressing was made in mason jars to allow the children to see the separation of oils and vinegars and to incorporate some of the herbs such as dill and thyme-which we would be picking in the garden later in the afternoon. Everyone seemed to learn something new including how to cut with a knife, what different fresh herbs looked like and how to see some common measuring tools. One of the highlights of the day was definitely all the tasting new flavours and vegetables! It was a sight to see the children reaching for more roasted parsnips which many hadn’t heard of until this day. 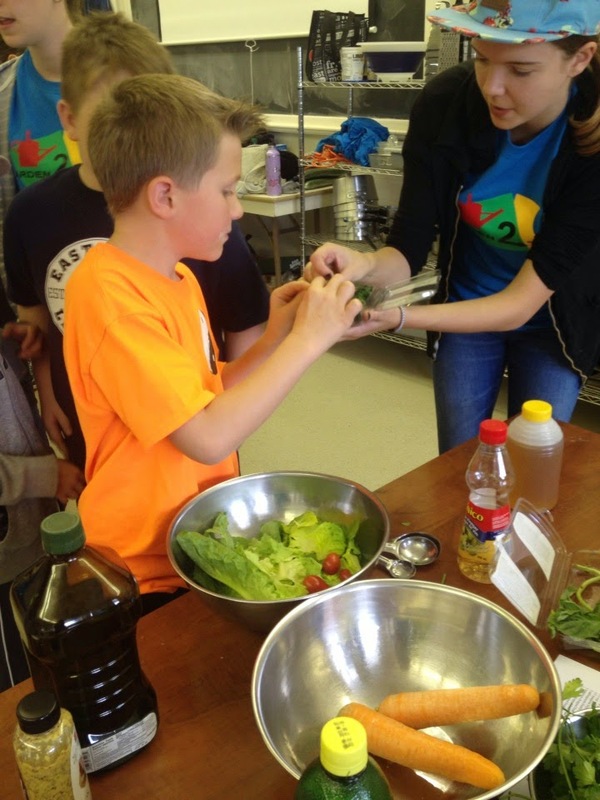 After we finished in the lab, it was straight to garden to get our hands dirty! Martha Gay greeted us was ready to show us the ropes about herbs. 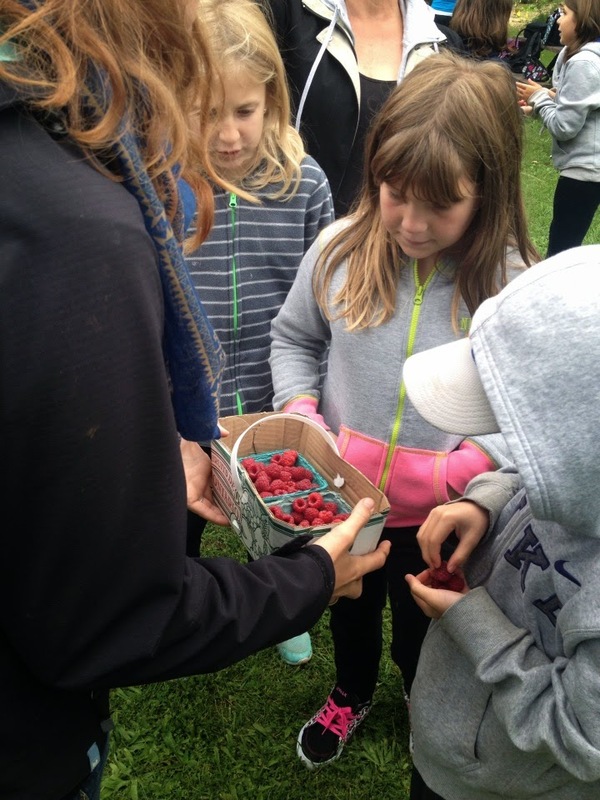 Upon arrival the children first ate their lunches around the picnic tables while our volunteers picked some raspberries for the children to try for dessert. Once lunch was over we moved to the greenhouse to learn about harvesting and drying some common herbs from the garden including Greek oregano, tulsi basil , catnip, sage and winter savory. Everyone helped out including making the bundles, tying them, and attaching some labels on the herbs to bring home to their families. 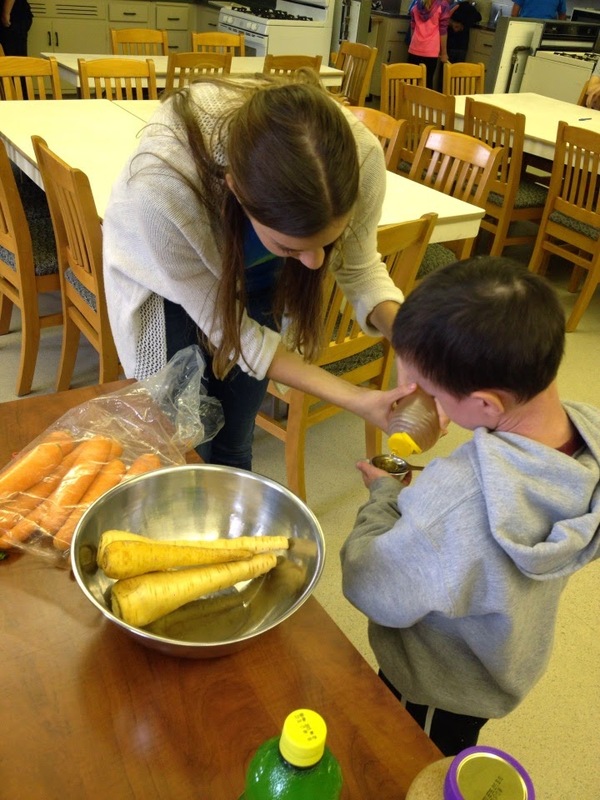 It was a new sensory experience for many of the children smelling the unique ingredients and seeing how they’re grown. 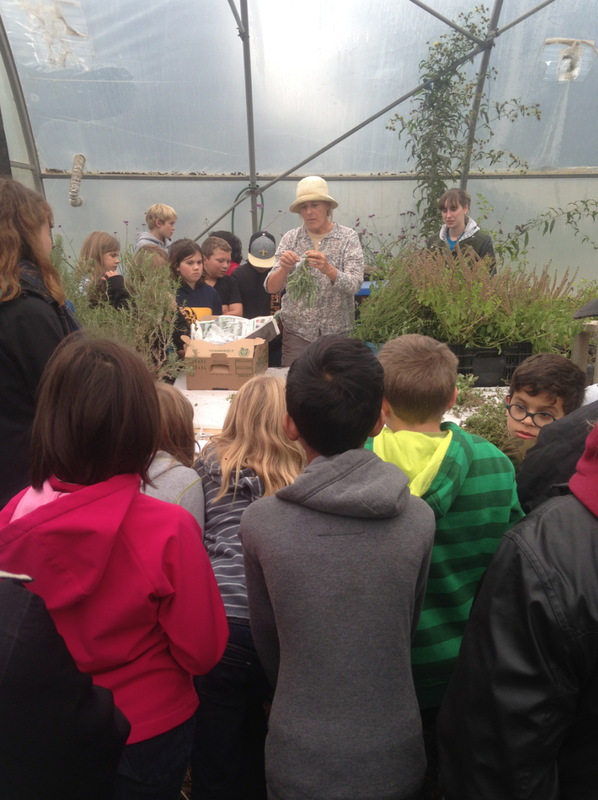 Many of them learnt that herbs aren’t only small plants, but they can also grow in large bushels! 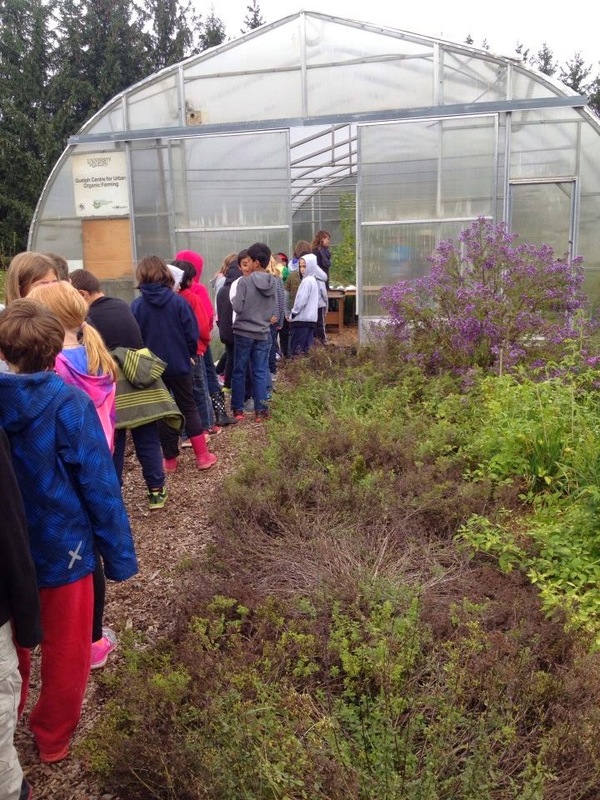 After a long day of activities the children headed back to school with a new appreciation of what organic, sustainable farming is all about!